This coat has been featured with a check pattern in the blend of black and grey color. Inner has been provided with viscose material. 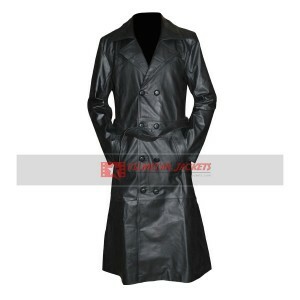 Making of this coat is provided with leather and also one may get it made in cotton finish. The length of this coat covers being till knees. There are full sleeves provided for this coat. There is a front closure of buttons provided. Collars are in white color appearing being furry. Winters demand having the best wardrobe collection and to upgrade mine I ordered this beauty for myself, I must say along with the design the comfort offered by this coat is something beyond impossible. "I remember watching this movie and really admired this jacket at that time. When I bought this ethan renner jacket, I realized that this has the capab"